Shoulder pain can make it hard to get dressed, talk on the phone and drive a car. If you have shoulder pain that persists or doesn’t get better after resting and using ice, make sure to see an orthopaedic specialist to diagnose the problem. In many cases, resting your shoulder and not aggravating an injury will help you feel better. However, without a proper diagnosis, you run the risk of making the pain worse or re-injuring yourself. 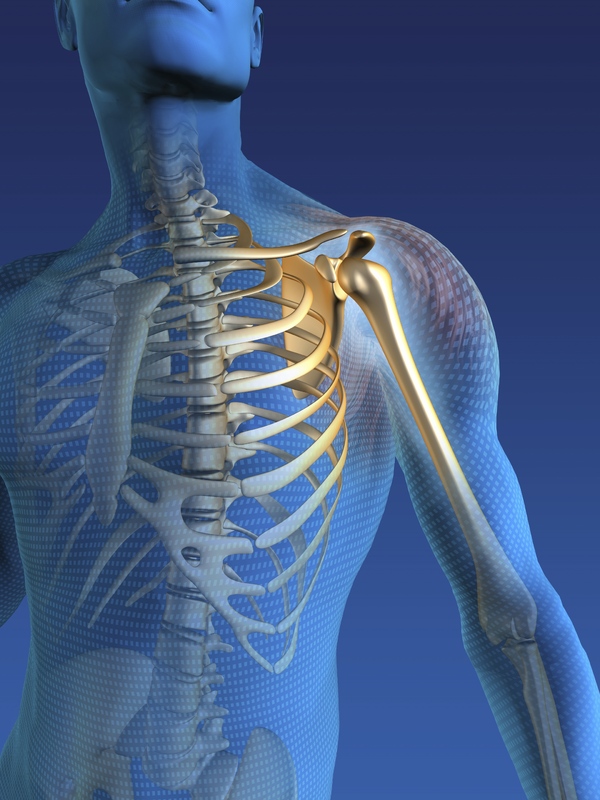 Dislocation – Young, active people often dislocate their shoulder. If your shoulder is pulled too hard or twisted, the ball at the top of the bone in the upper arm can pop out of its socket. The usual treatment is to push the ball of the upper arm back into the socket. Once you dislocate your shoulder, you run the risk of doing it again. You may need to wear a sling, rest and use ice after it’s back in place. Physical therapy exercises to improve your range of motion and regain strength can help prevent another injury. Separation — A separation is when you tear the ligaments between the collarbone and the shoulder blade. Falling on your hand or a strong blow to the shoulder can cause a separation. If the tear is severe, you could need surgery. Rotator Cuff Disease – If you have tendinitis or bursitis in your shoulder, rest and ice may help you feel better. In some cases, your doctor may recommend injection of corticosteroid drugs to treat inflamed tendons and bursa. If pain doesn’t improve after six to 12 months, you may need surgery. Rotator Cuff Tear – This type of injury can happen as we age and may cause little to severe pain. Depending on how much damage has been done, treatment ranges from rest and using heat or ice to cortisone injections and possibly surgery. Frozen Shoulder — Many things can create what people call a “frozen shoulder.” Limited movement may be from chronic pain, rheumatic disease, lack of fluid to help the joint move and bands of tissue that can grow in your joint. Like other shoulder problems, surgery is the last resort if other conservative measures don’t work. Talk to your doctor about medications to reduce swelling and pain, using heat and gentle stretches and cortisone injection. Fracture – If you think you have a shoulder fracture, seek immediate care. It’s vital to put your bones back into their proper position. You may need to wear a sling while you recover. In severe cases, you might need surgery to repair a fracture. Arthritis – Whether you have osteoarthritis or rheumatoid arthritis, you may need medications to control your shoulder pain. Osteoarthritis can lead to wear and tear of your cartilage. Rheumatoid arthritis, which creates joint inflammation, may require physical therapy. Your orthopaedic specialist will recommend conservative measures first to alleviate your pain and help you live a normal lifestyle. In some cases, surgery is the best option to replace a joint badly damaged by arthritis. + Read about advances in arthroscopic shoulder surgery at Virginia Orthopaedic & Spine Specialists.